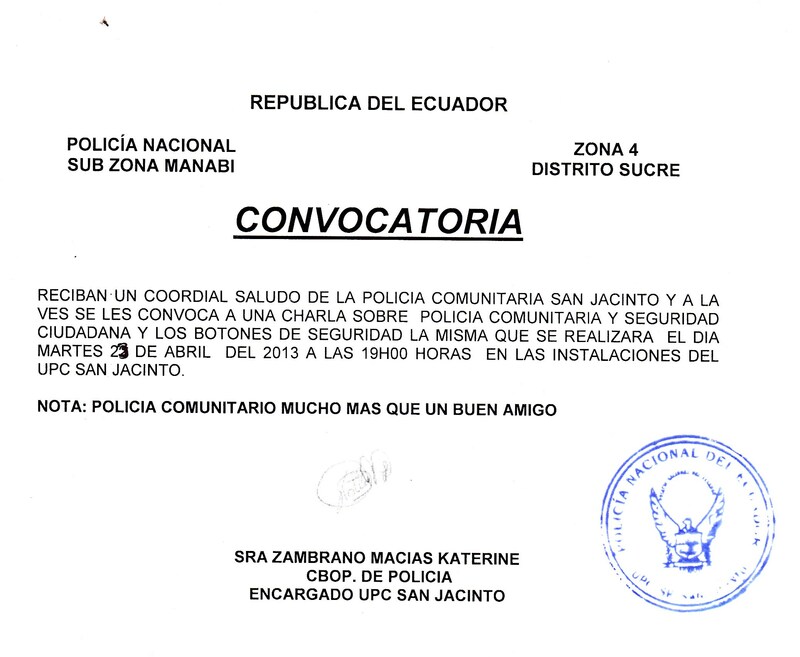 Sra Zambrano Marcias Katerine is inviting the public to a meeting in the police station in San Jacinto at 7pm this evening, April 23, 2013. They will be discussing security, public safety and the Community Police. Anyone interested can attend this meeting at the Police Station outside of San Jacinto at 7 pm this evening. 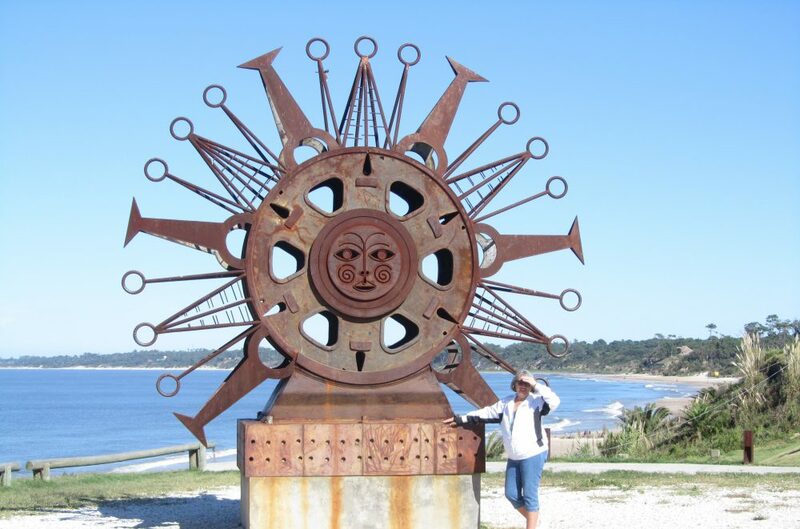 This entry was posted in Beach, Ecuador and tagged Beach living, Ecuador, Expats, Police, San Clemente, San Jacinto, South American by Nancy Levin. Bookmark the permalink.